I don't know about you, but I find it hard to resist the $2.99 rolls of wrapping paper at Homegoods. They always have the bins strategically placed at the checkout counter at our local store and it's just hard to pass them up. The patterns are so pretty and the price can't be beat. 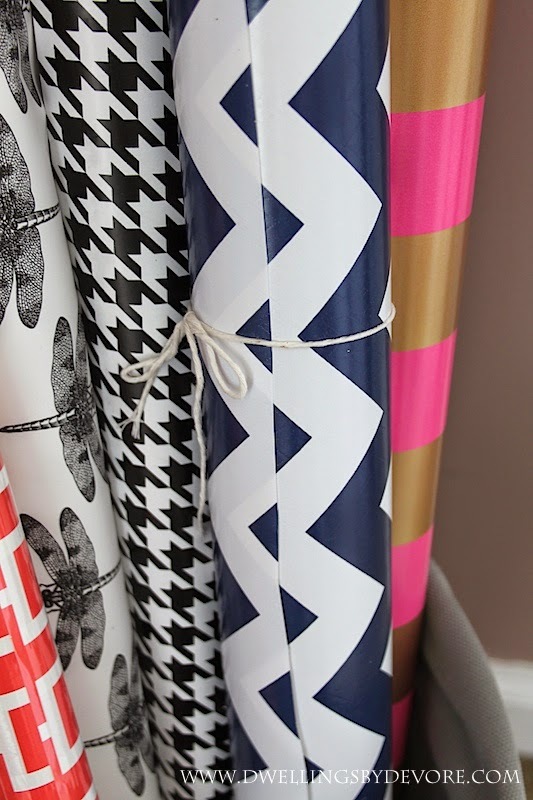 There's so many great DIY projects for wrapping paper out there too, so it's good to keep some on hand especially if it's a pattern you love. However, my collection was getting out of hand. I had been storing it in one of those under the bed storage boxes in our attic, but it made it hard to get to and I didn't use it as often as I would like because it wasn't accessible. I came across this simple hamper at Marshall's and knew it would be a good solution for my little wrapping paper problem. It was pretty inexpensive too. I've been thinking about painting the white portion gold (shocking I know) to glam it up a bit, but for now it gets the job done. I tied a little twine around the open rolls to keep them from getting out of control. 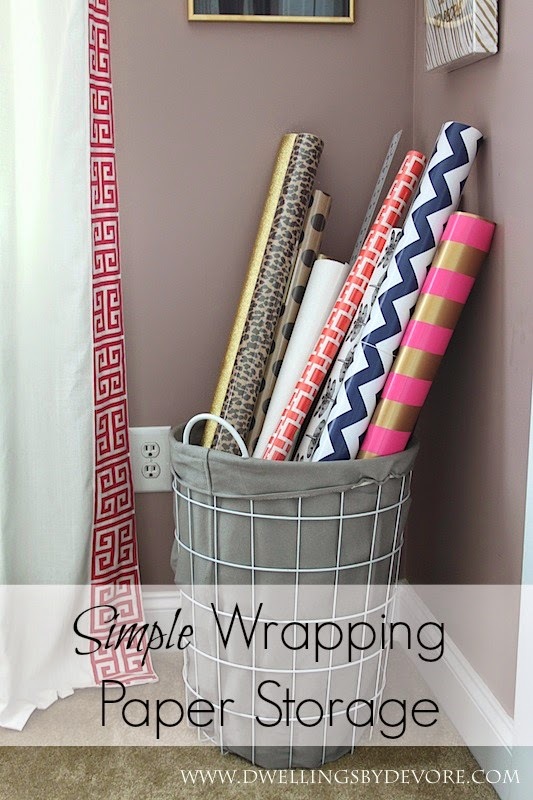 I'm also really loving this solution for wrapping paper storage that I recently came across on I Heart Organizing. Or if you have an extra room in your house you could just dedicate the whole thing to wrapping presents like Candy Spelling. you have such pretty wrapping paper to boot! i use a trash bin for mine- keeps it all nice and tall! Love that the tops are exposed to show all the pretty paper!! I always want to buy a couple rolls when I am checking out! They look pretty enough just sitting in your bin if you never get around to any of the projects! That Candy! 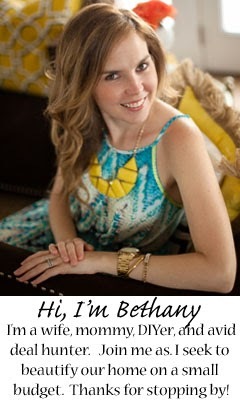 :) I love your organization better than hers though. And what a great roundup of paper you have collected! Your wrapping paper collection is almost identical to mine. Funny! The basket is perfect for it. I have a bagillion rolls at my house that I stored similarly! I love the string to keep the rolls closed, I definitely need to do that! I couldn't agree more! Home Goods, TJ Maxx and Marshall's get me every time when it comes to wrapping paper. You are right...They strategically place numerous rolls right by the checkout line. I also keep my rolls in a similar basket, but haven't thought about using twine to keep them from unrolling. Brilliant!